Who built this Great Pyramid of Giza? When you say "attributed " do you mean that we don't know for sure ? Yes . There are no official inscriptions whatsoever on inside or outside of this pyramid . It is only circumstantial deviance , The inscriptions in the mastabas surrounding the pyramid , make several references to the name of Khufu . 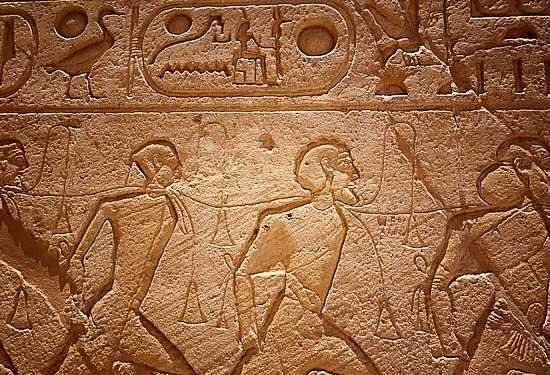 None of these references , however , refer specifically to Khufu as the builder of the pyramid . The Greek historian . Herodotus , attributed this pyramid to Khufu , based on the information provided to him by his priest informant , who was conveying information at least 2,000 years after the pyramid was built . Who are the people who built the Khufu Pyramid ? Almost Almost no historical information exists about the builders if the pyramids , The alleged "tyranny of Cheops (Khufu ) " cited by the Greek historian Herodotus ( C.500B.c.) , was generally accepted , and even elaborated upon , by non-factually writers . Firstly , there is no evidence to suggest that people were compelled to work against their will . Indeed , if anything , the opposite more probable . Upon rational reflection , it is reasonable ti suppose that they labored willingly . This is not hard to comprehend once the notion of the pyramid being a tomb is dismissed .The sheer quality of craftsmanship in the construction the pyramids suggested a prides suggested a pride in the work . Secondly , rational scholars challenged the notion of slave labor m since managing such huge numbers of disgruntled slaves , gathered in one small area , would have been a potentially explosive task . 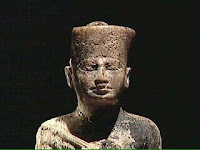 Thirdly , Herodotus reported that his Egyptian guide told him that Khufu's predecessor , Snefru , was a good king . 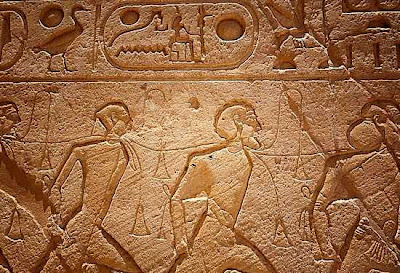 Yet the three mighty pyramids at Dahshur and Meidum , attributed so Snefru , required much more stones and labor than that required for the Great pyramid itself . This is a major contradiction in Herodotus' accountant of the "tyrant" sand "good " Kings . This is too much evidence . 1 - How did they manage to make the sloping sides of he pyramids absolutely flat ? 2 - How did they make the four sloping sides meet at a perfect point at the summit? 3 - How did they make the tiers so level ? 4 - How did they cut the stones , so that they fit together so precisely ? 5 - What tools did they use ? 6 - How could the required number of workers (estimated at 240-300,000 people) maneuver on the confined building site ? 7 - How did they cut the blocks so uniform ? 8 - How did they place some of the heaviest blocks in the pyramid , at such great heights ? 9 - How wee 115,000 casing blocks all made to fit to hair's breadth and closer ? 10 - How was all the work done in about 20 years ? ?